Obituary for Gordon S. Slinn | Wyman-Fisher Funeral Home Inc.
Gordon S. Slinn of Pearl River, NY, a lifelong resident of Rockland County, passed away on Monday, October 29, 2018 at Montrose Veterans Home. He was 86. Mr. Slinn was a foreman for Orange and Rockland Utilities. Gordon was born February 9, 1932 in Spring Valley, NY to Stanley and Frieda Slinn. 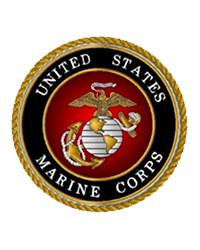 Mr. Slinn served in the United States Marine Corp from 1951 to 1954 attaining the rank of Sergeant and received the Purple Heart during the Korean Conflict. He is survived by his children, Steven S. (Kimberly) of Westtown, NY, Suzanne Traas (William) of Pearl River and James (Donna) of Nanuet, NY; seven grandchildren, Christopher, Erin, Sean, Jessica, Taylor, Brian and Tara; three great grandchildren, Shyanne, Chase and Mia. He is also survived by his brother, William of Chestnut Ridge, NY and sister, Carolyn Vinski of Jupiter, FL. He is predeceased by his wife Kathleen (2012). Visiting is Thursday from 5:00 to 8:00 PM at Wyman-Fisher Funeral Home Inc. A grave side service will be 11:00 AM Friday at Frederick Loescher Veteran Cemetery, New Hempstead, NY. In lieu of flowers friends may send memorial donations to a charity of your choice.